An interactive POP display is the essential element you need to stand out in the retail environment. With an enticing layout, an interactive POP display allows your product to not just be noticed, but explored. When the consumer is able to interact with the product, they begin to understand your brand at a higher level. With an interactive POP display, you allow the consumer to move from a place of curiosity, to a place of need. It opens their eyes to the depth of the product and allows them to personally experience the product before they even have to purchase it. Small obstacles can deter the consumer away from your product. Lack of product education, lack of trust, confusion on how to use product ‐ these are all obstacles you can avoid with an interactive POP display. When an individual approaches the enticing display, it immediately starts selling. 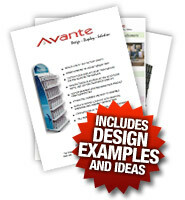 Consumers can get to know the in’s and out’s of the product with educational images and product descriptions. With a solid interactive POP display, the consumer can actually use it as a demonstration of your product with the unit on display. When the consumer is actually able to try the product, it creates a level of trust that is unparalleled. A good interactive POP display knows the consumer well and plays to their interests. When the consumer feels that the brand understands them, they see the product more than just a product or purchase, but something they can stand behind and be loyal to. Design is key when creating an effective interactive display. Avante award-winning design comes with years of experience of working with quality materials, coupled with an untouchable eye for design. Avante’s industry-leading designs can even be made to be touch screen, giving the consumer extra enticement to interact with the product. We make sure that the designs save space and build upon your brand, in order to best optimize the most effective elements of your advertising design. Our factory direct policy allows for this effective design to be offered at a low price. 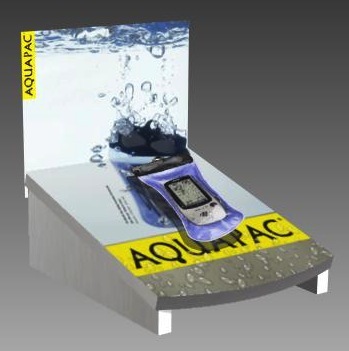 Your product deserves the interactive POP display that builds upon your branding and brings the product to life. The interaction should not only bring consumer in and build their trust, but entice them so much that they take purchasing action. For more examples of our dynamic displays, click here. Or give us a call at 1-877-407-8655 to discuss how we can build a display that best represents you.